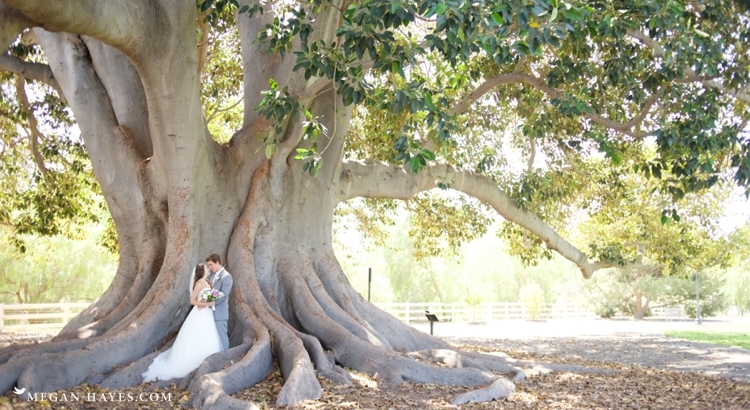 Stephanie and Patrick’s wedding at the historic Camarillo Ranch was absolutely gorgeous! These two were such a dream to work with and I love getting to photograph weddings at places with so much history. Camarillo Ranch is one of those places that I could explore for hours just looking at all the old things and reading about the history. That sort of thing is fascinating to me. The grounds are so pretty with several great places to take photos. The beautiful victorian style ranch house, stables and a barn all from the 1800’s. I may have a slight obsession with old barns. I love them! Stephanie got ready for her big day in one of the rooms of the house and just outside was the gazebo where the ceremony was held. She looked amazing! The ceremony went smoothly, lots of laughs were shared and maybe a tear or two shed. At the end of their ceremony the bridal party exited epically with a little mini dance party as each of them walked back down the isle. It was hilarious and fun to photograph! I love that Stephanie and Patrick are so easy going and that it’s very hard to get a bad photograph of these two! They were up for walking all over for photos and just very chill the entire day. I loved watching the two of them interact and seeing them with the biggest smiles ever as Stephanie walked down the isle. They such a sweet couple and blend together so perfectly. Thank you Stephanie and Patrick for allowing me to be a small part of your day as your wedding photographer! Loved getting to know you two and wish you God’s many blessings in your future together at Mr. & Mrs. Patrick Murphy!